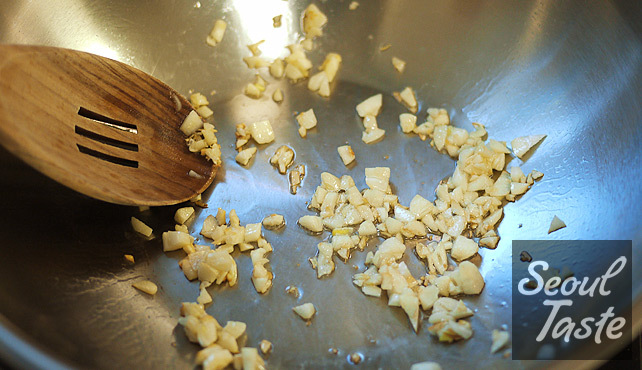 In a large wok, heat oil and stir-fry garlic until fragrant, about 1 minute. 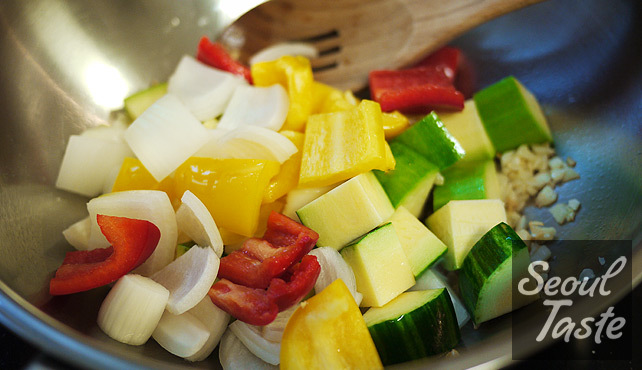 Add bell peppers, onions and zucchini and stir for about 5 minutes. 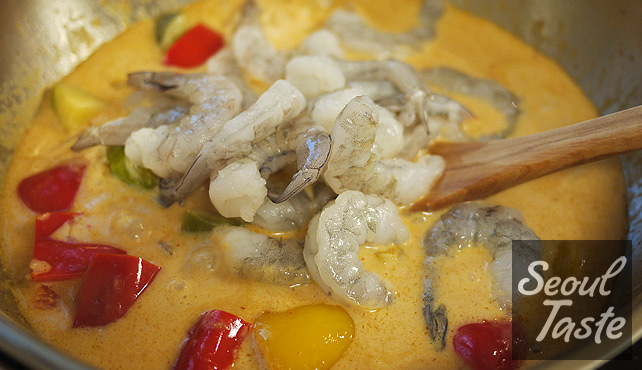 Add red curry paste to the mixture and stir to coat the ingredients. 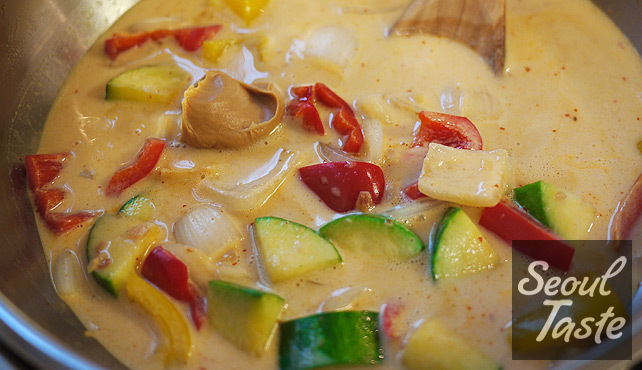 Pour coconut milk and stir to distribute the curry paste. Reduce heat to simmer and add fish sauce and peanut butter. Simmer for about 15 minutes. Add shrimp and cook about 2-3 minutes, until shrimp are done. Serve with rice. You can buy curry paste from stores specializing in imported products. We got ours from otth.co.kr. 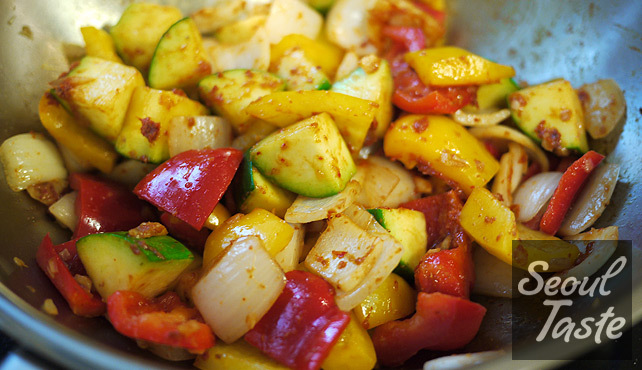 You can control the spiciness by adjusting the amount of curry paste. Coconut milk was from Emart. We use frozen shrimp from Costco. 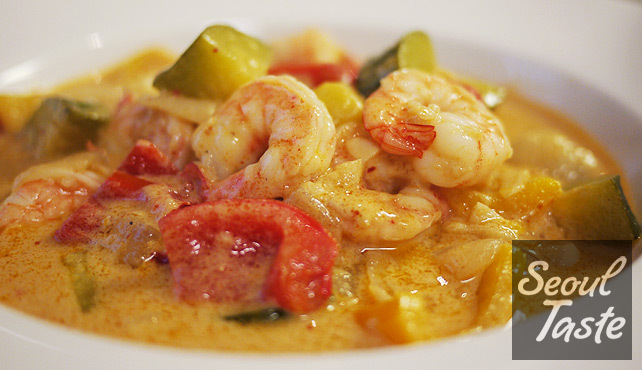 When using frozen shrimp, defrost them first by soaking in water.